Is NYSEG Solutions, LLC a different company from NYSEG? 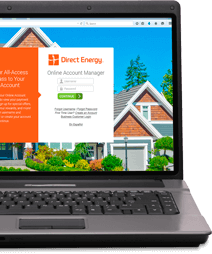 How is Direct Energy different from other suppliers? Was NYSEG Solutions, LLC acquired by Direct Energy? Yes. NYSEG Solutions, LLC was acquired by Direct Energy in 2012. NYSEG Solutions, LLC is not the local utility, but a separate company. How will this affect my service and support? You will continue to receive the same competitive rates and the highest level of support. Our new strategic direction has positioned us to provide additional products and services to our customers in the future. How are you different from other suppliers? Was Energetix Energy Services acquired by Direct Energy? Yes. Energetix Energy Services was acquired by Direct Energy in 2012. Energetix Energy Services is not the local utility, but a separate company. What will happen if my contract term is expiring soon? You will continue to receive a renewal notification by mail at least 30 days before your contract expires.